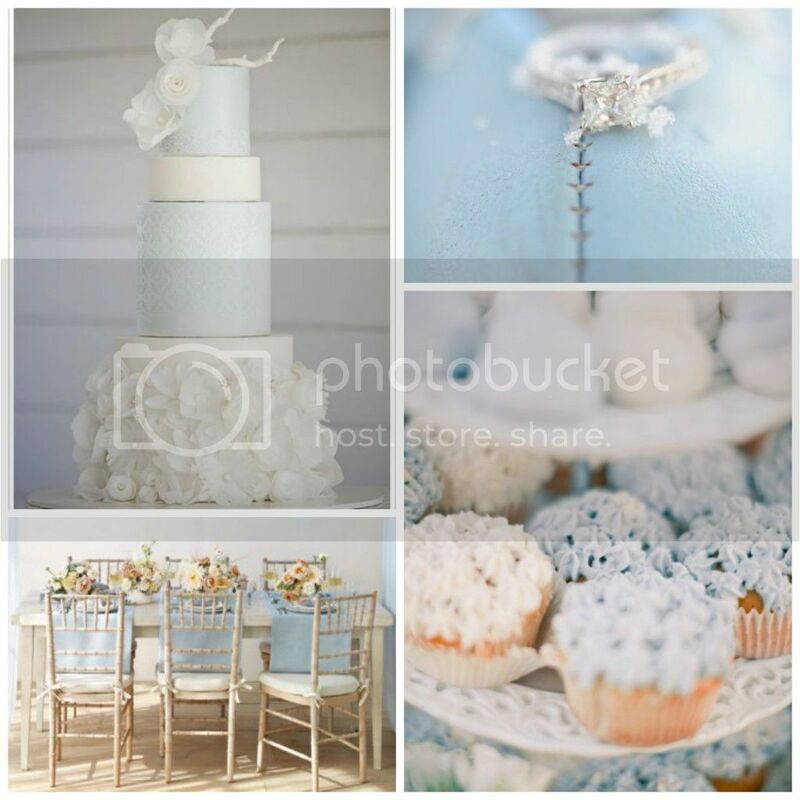 Time to kick off the blues and turn it into powder blue inspirations this winter. It's not just limited to this time of the year and it is definitely a pretty color good enough to go on our favorite winter palette. 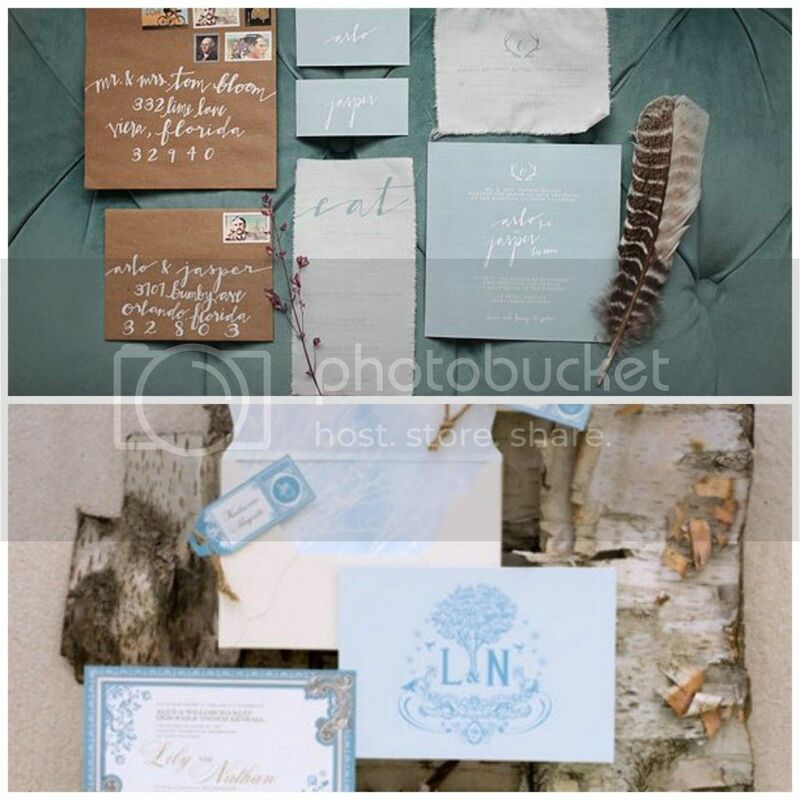 First off, don't understimate the power of a beautiful weddinginvitation. 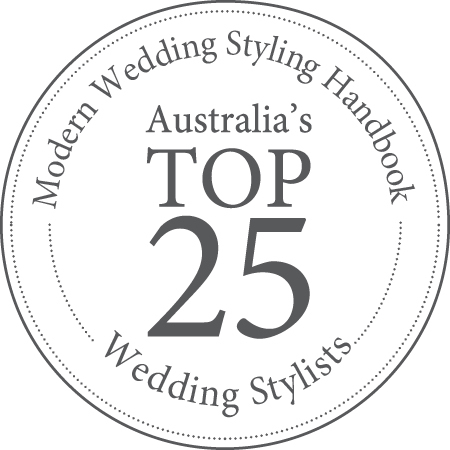 It can tie your wedding together and it will give your guests an idea of what to expect on the day. Go for intricate borders a or add calligraphy for that simple yet formal feel. 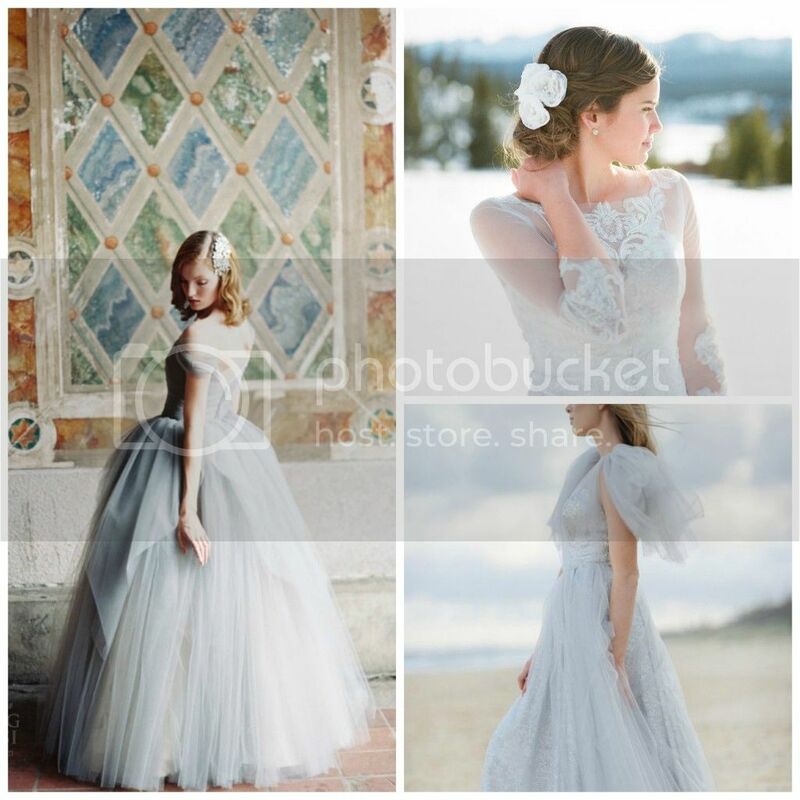 There are two things that you need to remember for your wedding dress this season: beautiful and warm. 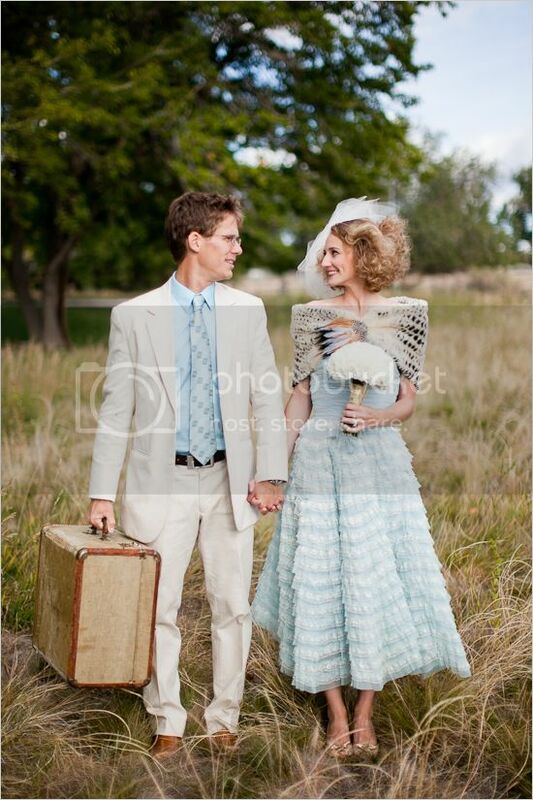 Nobody wants a shivering bride, right? 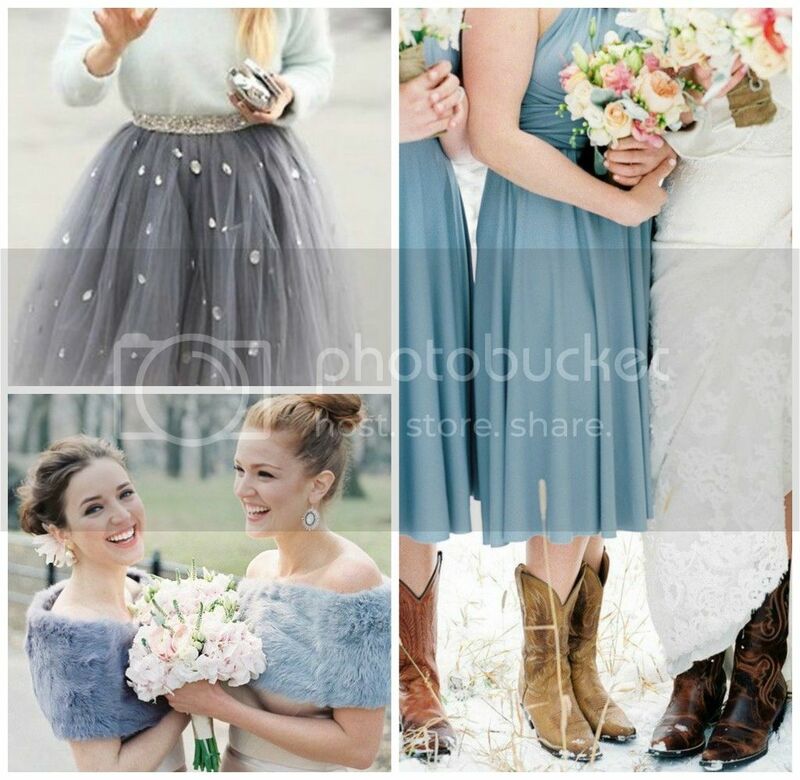 Stay away from the usual white and try a powder blue dress for that soft contrast against the cold. 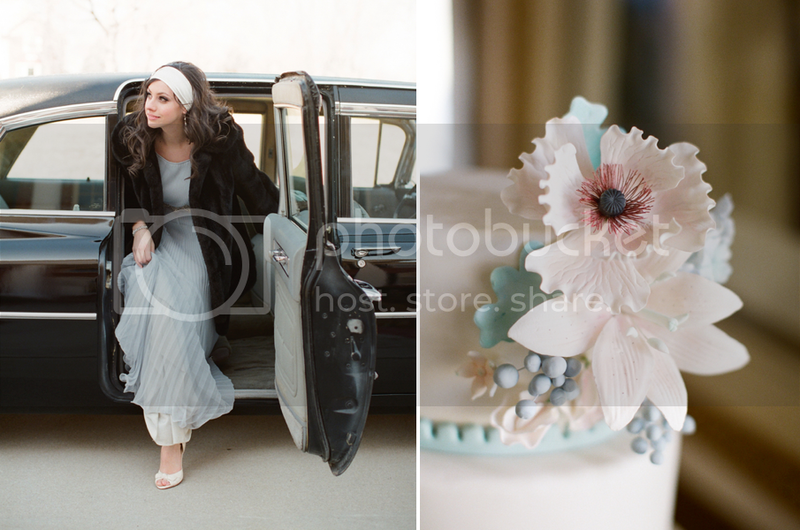 Opt to use plenty layers of fabric like tulle to add a nice flair and keep you warm at the same time. You can also consider adding lace applique to your dress or silver pearls if you like to have that snowflake effect. Best part about getting married in winter is you get to have a reason to buy that glamorous (artificial) fur or jacket you've been wanting to have. Put that on and you're sure to be cozy beautiful! Now that you're nice and warm, make sure your bridal party is not cold either. Have your bridesmaids wear floor length gowns and warm up with accessories like artificial fur, colored shawls or even cute boots. 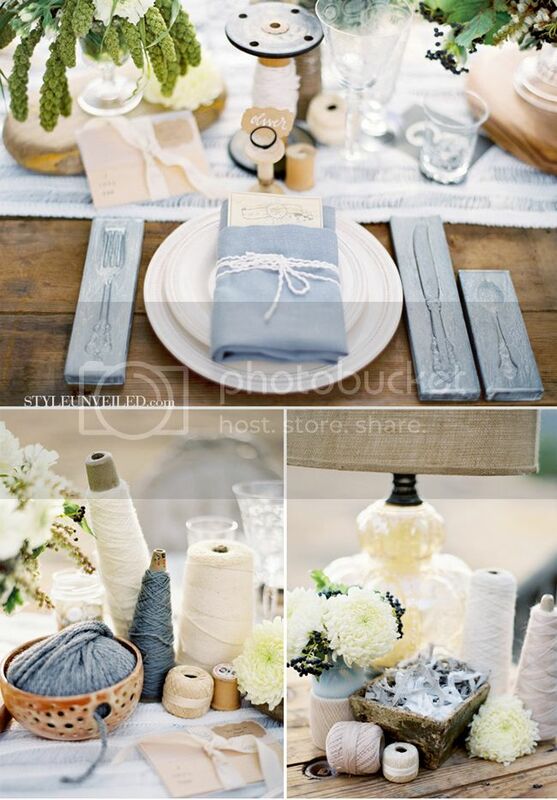 Remember to bring warmth to your wedding décor as well. 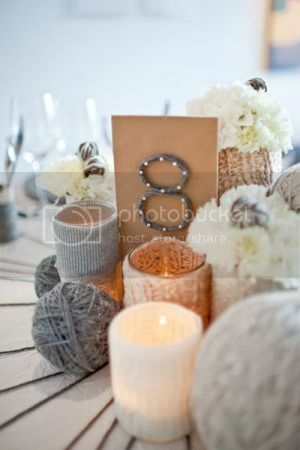 Yarn balls, rugs, candles and even cotton balls are just a few of the elements that you can use for your table. 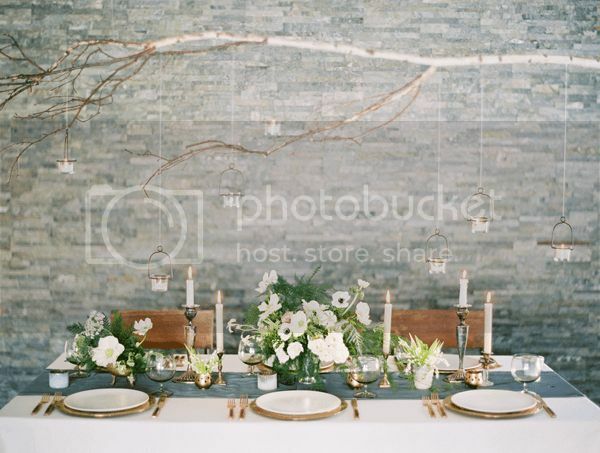 Create a backdrop with the same elements string down from the ceiling for a grand entrance and instant wow effect. 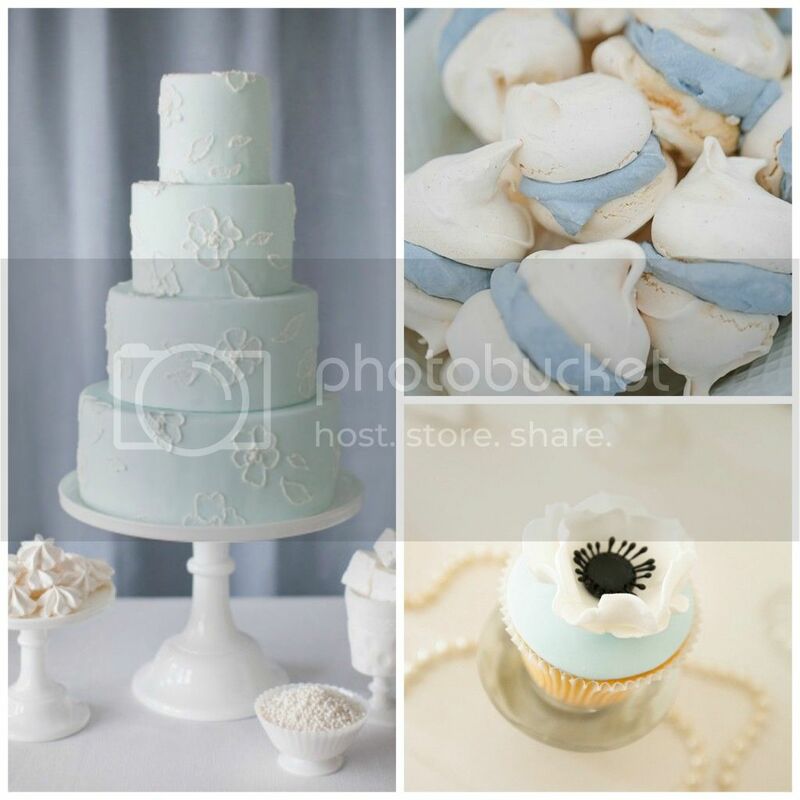 Finally, treat your guests to some pastel sweets and of course, let them eat a blue cake! 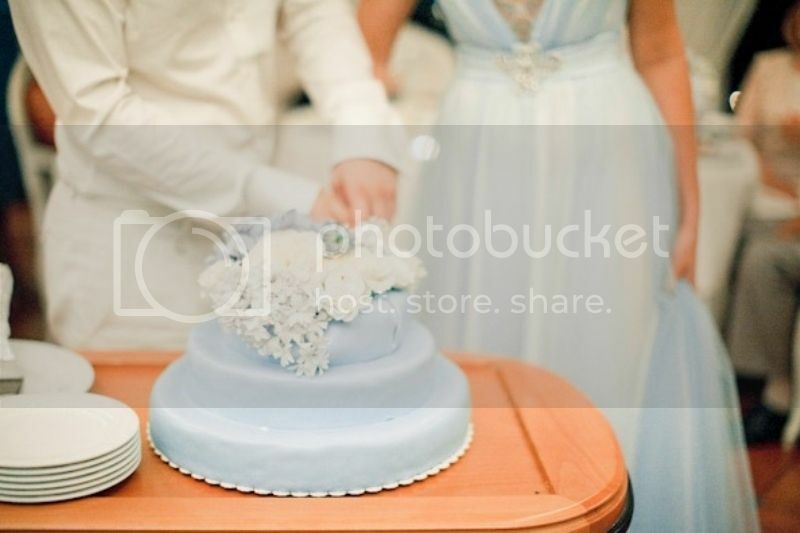 Your wedding cake is one of the elements that can convey your wedding color palette. Use it as the main attraction on your dessert table and add cupcakes or macarons in complimentary colors. So, are you crushing on this color as much as we do? 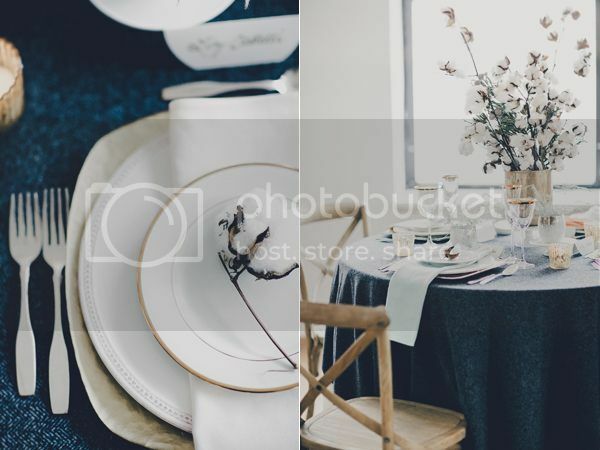 Would you consider this as your wedding color? I'd love to know!